Are you a lover of vintage philosophy, theme parties and retro-style events? Don’t worry! Caningam “Vintage events organization” will be for you! 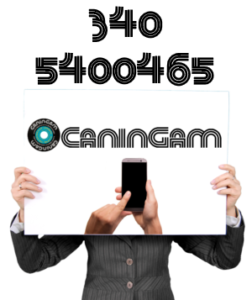 Caningam was born from a combination of passion and love for music and mainly for JukeBoxes: magic boxes that took off in the 1950s in bars and old dance halls marking almost 80 years of healthy fun for the price of a dime. Listening to and dancing the music of the legendary Elvis or playing Flipper had become a social way of aggregation, around which friendships and loves were born. Caningam with its expertise will help you celebrating an unforgettable day, to recreate an atmosphere suspended in time between past and present by setting up areas with light bulbs typical of those years and bright signs, American diner seats and tables in perfect retro style, wooden chairs cinema, video projector 1960’style, pinball machines, 4 and 8-player table football, 20cl coke dispensers operating with the legendary 50 lire coin, American candy dispensers 1950’style, bowling alley 1960’style, fist-meter 1980’style, all accompanied by the Jukeboxes music, strictly American originals with more than 10,000 original songs and with the option to choose your favorite playlist. Since customization is a determining factor for the success of your events, Caningam can also organise the legendary 45 laps disks personalized with logos, phrases and tracks from the 1940s to the present days. If you want to stand out and give your wedding party, birthday, graduation, an inauguration or a special event a touch of originality, between nostalgic charm of old times and modernity, do not hesitate to contact us and we will be more than happy to put at your service our expertise and our passion for vintage by offering you complete packages or even individual accessories: all with the highest quality and professionalism!